EFNEP promotes good nutrition and physical activity as a means of maintaining a healthy lifestyle free of chronic disease. Our goal, while advocating for nutrition, is to help adults and their families establish & maintain healthy eating habits & physically active lifestyles. Adult participants are recruited through inter-agency referral requests and flyers distributed to agencies in target communities. These agencies include, but are not limited to: WIC, Food Stamps, Head Start, Child Nutrition, TANF, and TEFAP. 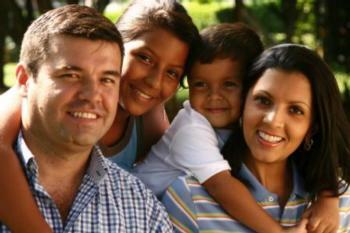 The adult program aims to enroll adults from both urban and rural households with children under the age of 18 years. Participants should be responsible for planning and preparing family meals. 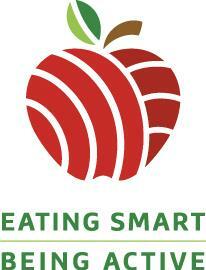 Adult EFNEP is administered by the University of California Cooperative Extension using Eating Smart • Being Active, a curriculum for adults developed jointly by Colorado State University and the University of California. It is a research-based curriculum based on the 2010 Dietary Guidelines, designed for paraprofessional nutrition educators to assist limited-resource families with young children to make healthy lifestyle choices. The curriculum consists of 9 core lessons that each last 60-90 minutes and also includes 2 supplemental lessons targeted at pregnant women and new mothers. These supplemental lessons are designed to be taught alongside the 8 core lessons. Each lesson comes with a lesson enhancement and a tool designed to help participants adopt certain healthy behaviors!